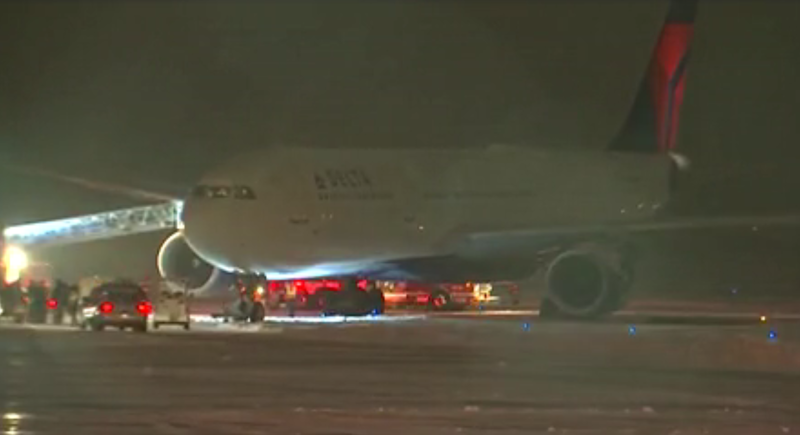 APPLETON, Wis. -- A plane carrying Vikings players and staff slid off the runway at the Appleton, Wisconsin airport Friday evening and stranded the team for hours, CBS Minnesota reports. It happened at around 6:20 p.m. as the plane was taxiing after landing, according to one of the passengers. No one was injured in the incident, but everyone has been sitting on the plane while crews try to figure out how to de-board. The Vikings’ official Twitter account reported shortly after 7 p.m. Friday that “while taxiing after a safe landing, the team plane slid off the runway and became stuck. The plane landed about 5:15 p.m. It was snowing much of the evening in Appleton, which is about 30 miles south of Green Bay. “Everyone is okay. Just waiting to get off plane once stairs arrive,” a Vikings spokesperson told CBS News in an email. A spokesperson said at 9 p.m. CT that they had been working to get the team off the plane for three hours. Lineman Jeremiah Sirles tweeted an image from inside the plane. Airport officials said that a rear wheel on the plane’s landing gear slid off the taxiway amid snowy conditions, the Post-Crescent of Appleton reported. The airport did not have a staircase tall enough to reach the doorway of the stuck plane. Firetrucks arrived to retrieve passengers, but only two could leave the plane at a time. Airport officials posted on Twitter that the first buses left for the team hotel in Appleton around 10:15 p.m. The buses arrived at the hotel about 15 minutes later. The Vikings are facing off against the Green Bay Packers for another Border Battle Saturday.